Our Southern and Northern Highbush blueberries thrive in the island's mineral-rich, peaty soil, just as their wild cousins, the blackberries, have for centuries. Victoria Island Farms blueberries are notable for their plumpness, taste, and freshness. Our blueberries go from field to package in record time. Within an hour of leaving the bush, our blueberries are cooled and packaged, and cooled again. They leave the farm in pre-cooled trucks. Blueberries begin to ripen in May and are harvested until early July. 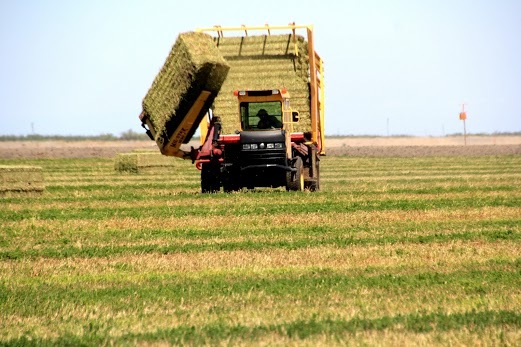 Each field is harvested 3-5 times depending on ripening characteristics of the variety. Most varieties require a certain range of chilling hours (temperatures below 40 degrees) for optimal production. Almond orchards are a relatively new addition to the island, with our first harvest of third-leaf trees in 2018. 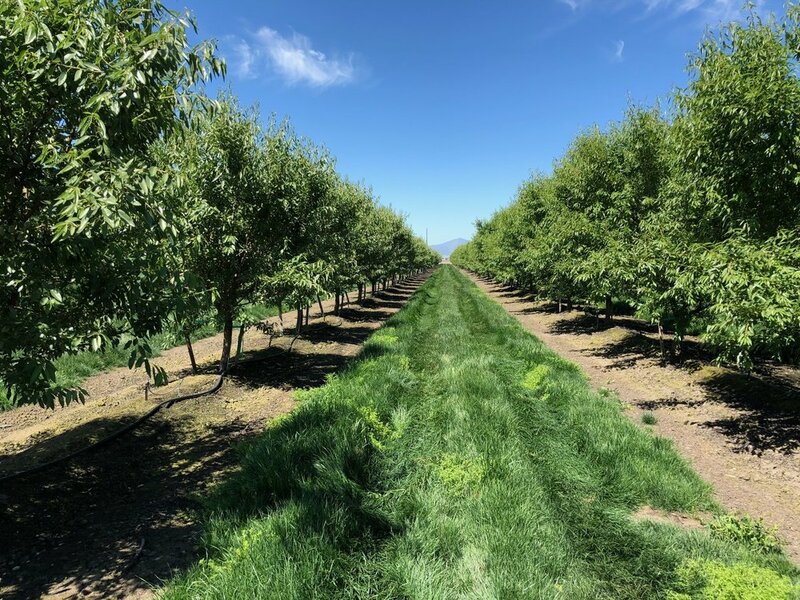 Almonds are popping up in greater numbers all over California, but Victoria Island was the first growing operation to plant them so far below sea level. 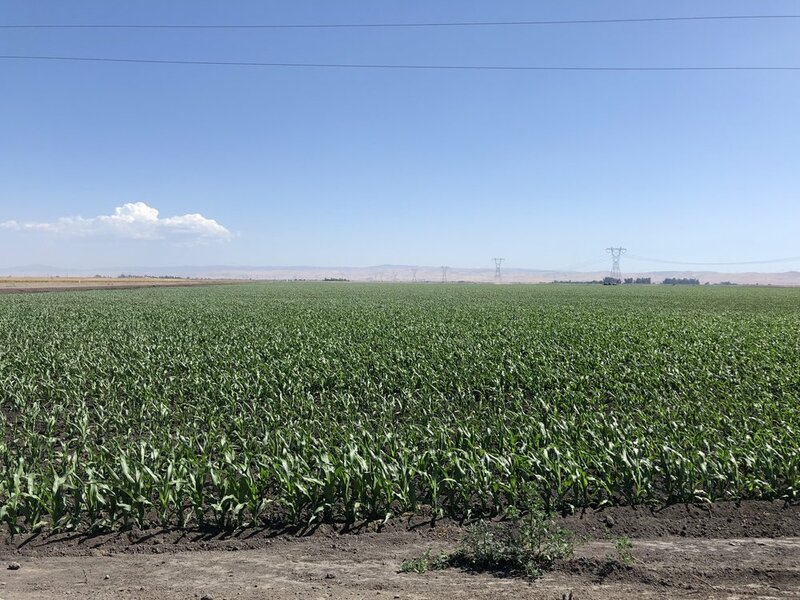 Innovation in drainage and irrigation technology has helped prepare the ground for trees, and experimentation with tree and rootstock varieties has led to a winning combination, allowing our trees to thrive and take advantage of our rich, organic soil. Victoria Island-grown almonds are sent to our sister operation, Nichols Farms, in Hanford, California where they are processed at their state-of-the-art facility before reaching happy consumers of California Almonds all over. Here at Victoria Island We’re always experimenting with new ingredients that will thrive in our unique geography. 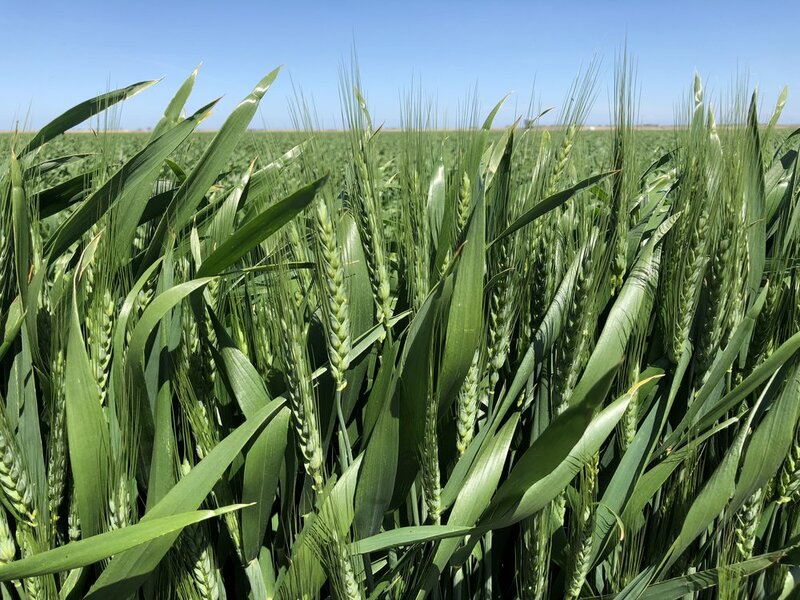 Right now it’s barley (pictured), grown in small quantities for our partners at the Sabbatical farm distilling Lab where they are turning it into an all-new California Whiskey — that’s about as locally sourced as it gets!